City of Downey as the Most Business Friendly City with a population greater than 68,000 and the City of Arcadia as the Most Business Friendly City with a population under 68,000, which is the median population size for California’s cities. 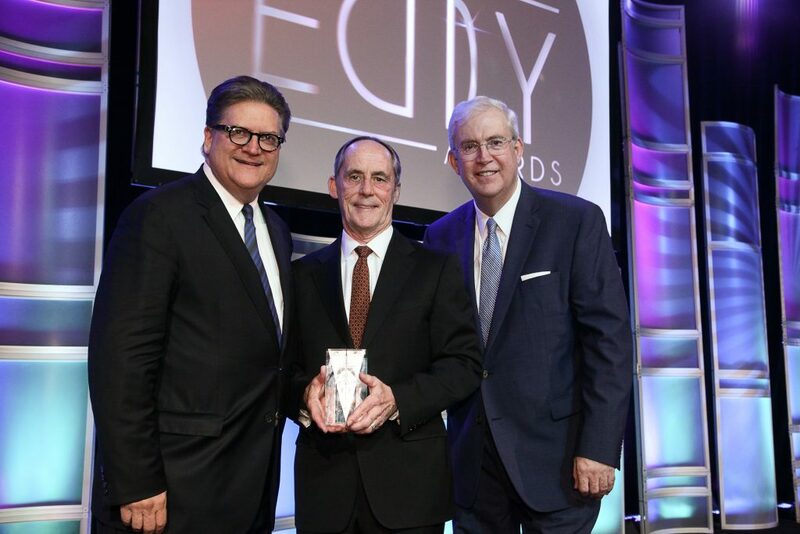 Awards were presented at the LAEDC Eddy Awards, the evening of November 9th at the new Intercontinental Hotel at the Wilshire Grand Center in Downtown Los Angeles. The City of Downey’s pro-business approach, progressive city government, and strong local economy make the city an excellent business location. The area has great housing stock, a high quality of life, a skilled workforce, and a diverse population. Economic development staff that serve as ombudsmen expertly assist businesses with entitlement, development and approval processes. By ensuring public safety, encouraging economic growth, and supporting environmental responsibility, Downey remains a positive example and its essence of community is what makes it such a special place. 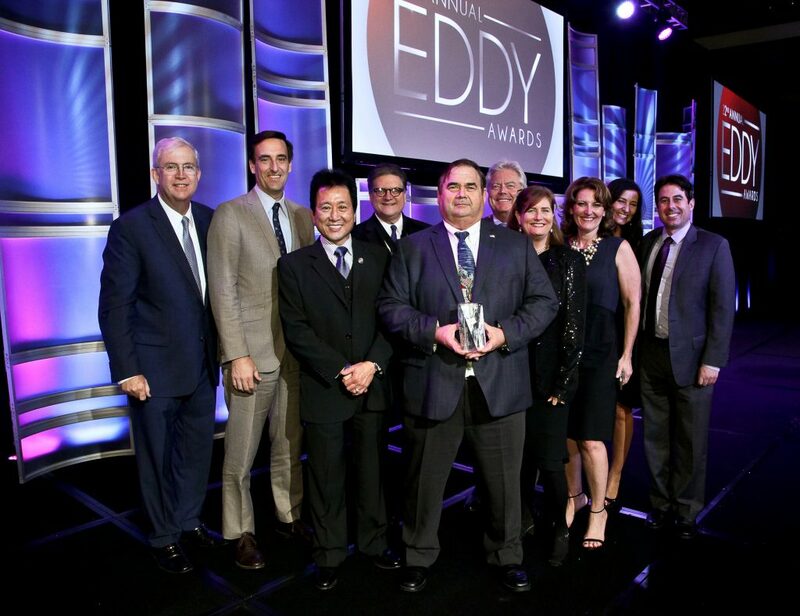 Watch the City of Downey’s video shown at the Eddy Awards. Encapsulated in their marketing campaign “See Arcadia. Above & Beyond”, Arcadia prides itself on having a nimble and dedicated city staff, a vibrant local economy, and a business friendly approach committed to going above and beyond your expectations. City highlights include Santa Anita Park, Westfield Santa Anita mall, a resurgent historic downtown district, and world-renowned Asian cuisine. 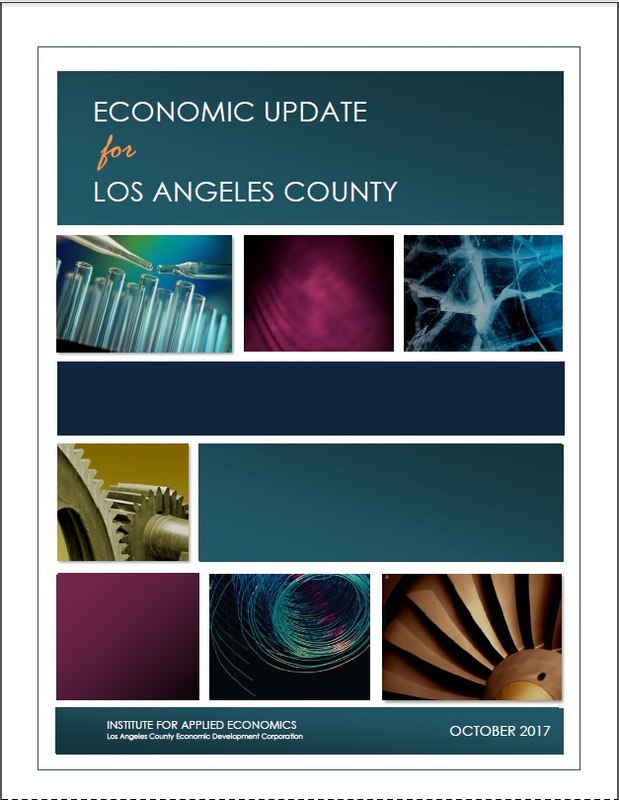 Arcadia’s high quality of life, great schools, and cultural amenities continue to attract new residents and visitors, and a new business-friendly zoning code adopted in 2016 demonstrates the city’s continued commitment to cutting red tape, promoting economic growth, and supporting local businesses. Watch the City of Arcadia’s video shown at the Eddy Awards. At last year’s 2016 Eddy Awards, the City of Santa Clarita and the City of Pico Rivera were recognized as the Most Business Friendly Cities. View a short video on best practices at City of Pico Rivera. Mark Suster is Managing Partner of Upfront Ventures, and LAEDC’s Individual Honoree for the 2017 Eddy Awards. A two-time entrepreneur turned venture capitalist, Mark’s extensive experience in leading investments that include MakeSpace, uBeam, mitu, Osmo, and Maker Studios (acquired by Disney in 2015) has significantly guided budding entrepreneurs through L.A.’s VC market. As Mark manages the largest and most active early-stage fund ever raised in the region, he has become a key player in L.A.’s tech scene by concentrating about half of those investments in the local area. While Mark oversees L.A.’s largest venture capital firm, he also wields impressive clout via his popular blog Both Sides of the Table and startup advice platform Snapstorms. As part of a small handful of VC bloggers, Mark consistently provides resources for entrepreneurs on raising angel funding, shares insights on the trials of startups, and drives awareness for organizations benefitting Angelinos. Mark is also very active philanthropically, including his work with LA Kitchen and via Upfront Ventures’ support for Defy Ventures which teaches entrepreneurship to incarcerated men and women. Marks’ positive impact on LA’s social and economic fabric represent leadership and excellence on many levels. 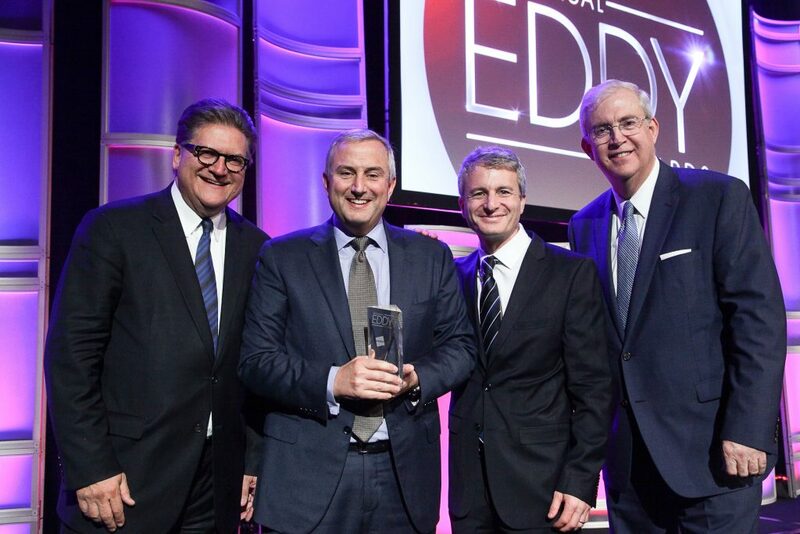 Cedars-Sinai, the Corporate Honoree for the 2017 Eddy Awards, is widely renowned for the quality of its patient care, research, education and community service, and for its role in meeting the changing healthcare needs of one of the most diverse regions in the nation. Cedars-Sinai is not only one of the largest jobs-creating employers in the L.A. County region, with over 12,000 employees, it is also an engine for innovation and economic development. Its physicians and scientists continually pioneer new technologies, medical treatments and devices, and its technology transfer and tech accelerator programs have helped bring new treatments to millions of patients while strengthening the regional economy. In addition, Cedars-Sinai is a leader in workforce development, and thousands of budding healthcare professionals have honed their talents through Cedars-Sinai training programs, gaining the skills that lead to well-paying jobs. Equally important, Cedars-Sinai has demonstrated a long-standing commitment to supporting the greater Los Angeles community and its most vulnerable and under-served residents. Through a broad spectrum of community-based activities and outreach initiatives, Cedars-Sinai provides fundamental healthcare and livelihood programs to local neighborhoods, schools, homeless shelters, clinics and community centers. In addition to these extensive community programs and local partnerships, Cedars-Sinai also provides free and part-pay care at its medical center that assists the uninsured and those with limited means. Cedars-Sinai serves more Medicare patients than any other hospital in California and is also one of the largest providers of Medi-Cal services among non-government hospitals across the state. California State University, Los Angeles is the Educational Honoree at the 2017 Eddy Awards. The university is ranked #1 in the United States for upward mobility, underscoring the power of education in elevating students, their families and communities. As a vehicle of social mobility, particularly focused on educating a diverse body of first-generation college students, Cal State LA consistently strives to transform the role of public universities and lay the groundwork for its students to climb the income ladder. The university not only provides jobs for several thousand employees, but every year graduates more than 5,000 students with the skills they need to obtain well-paying jobs in our workforce. A majority of them remain in the Los Angeles region and contribute to the vibrant local economy. Over the past few years, Cal State LA has focused on developing a new entrepreneurial ecosystem in the L.A. and the San Gabriel Valley region. As part of an initiative to attract businesses to the area, provide students additional employment opportunities, and revitalize the region, Cal State LA plans to launch LA BioSpace, a new incubator. Scheduled to open in 2018, LA BioSpace will help new companies by providing access to equipment, conference rooms and laboratory space. This facility will anchor the eastern edge of an area known as the Bioscience Valley, and will enable startup firms to develop innovative technologies and turn scientific advances into job-creating businesses. Cal State LA is also a trailblazer in its efforts to collaborate with local industry. The university has partnered with life-science business Grifols Biologicals Inc. to develop a summer science academy to introduce high school students to careers in the STEM fields. Cal State LA represents the best of LA County’s educational institutions. 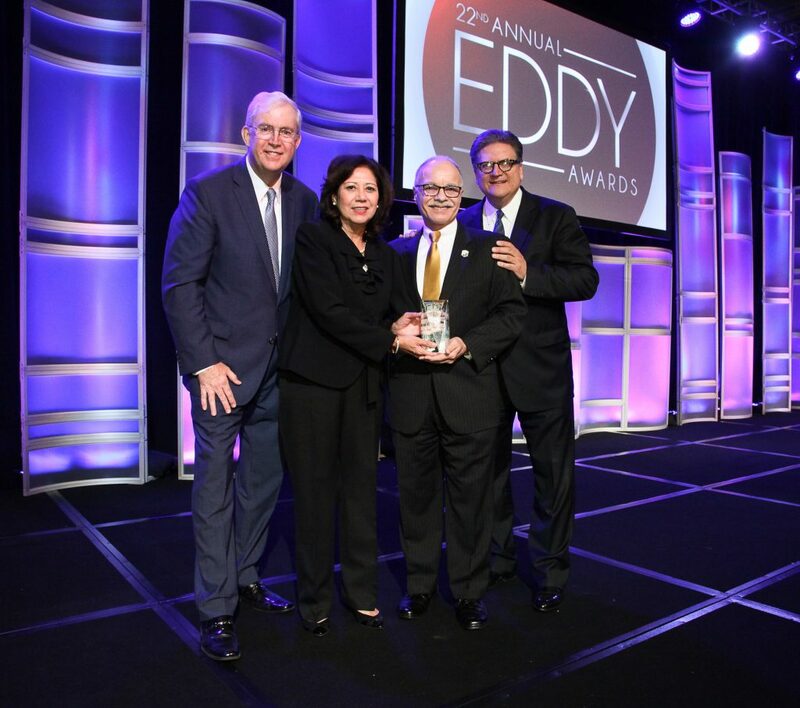 The Eddy Awards were introduced by LAEDC in 1996 to celebrate exceptional contributions to economic development in the L.A. region, consistent with LAEDC’s focus on advancing opportunity and prosperity for all. 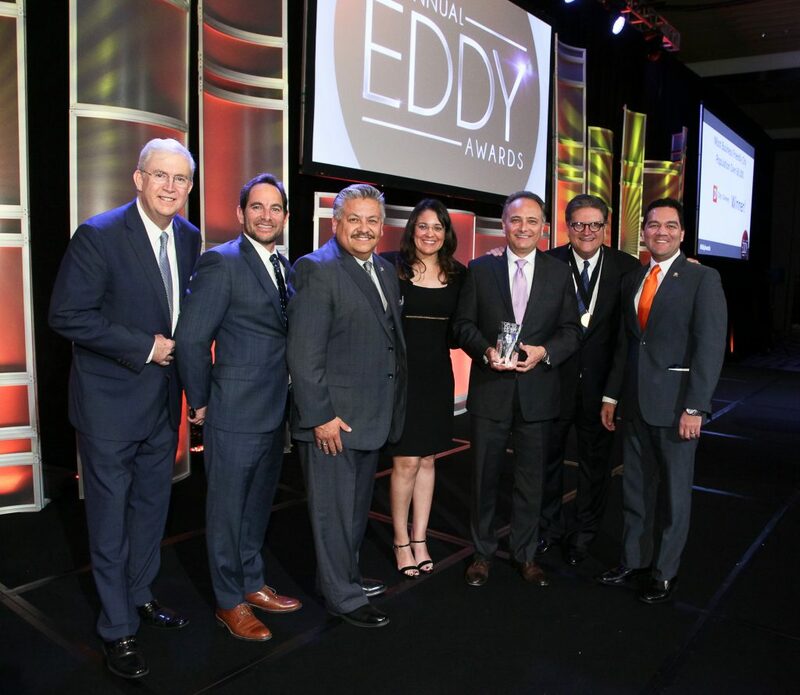 The Eddy Awards gala dinner, where our region’s leaders come together, includes California’s only “business-friendly city” award, highlighting programs and services that foster job-creation. This is LAEDC’s only fundraiser, and an opportunity for civic-minded organizations to support our public-benefit mission.